Product prices and availability are accurate as of 2019-04-19 02:59:27 UTC and are subject to change. Any price and availability information displayed on http://www.amazon.com/ at the time of purchase will apply to the purchase of this product. These durable interlocking floor tiles are designed to provide an attractive and practical garage flooring solution. The tiles come in various colors so that multi-colored designs can be created. The tiles feature a beautiful coin solid top shape with a grid underneath that allows air and water passage. The tiles are comprised of a high-impact polymer, which is a rigid, lightweight and strong material. They are able to withstand the high rollover weight of large vehicles including SUVs and pickup trucks. 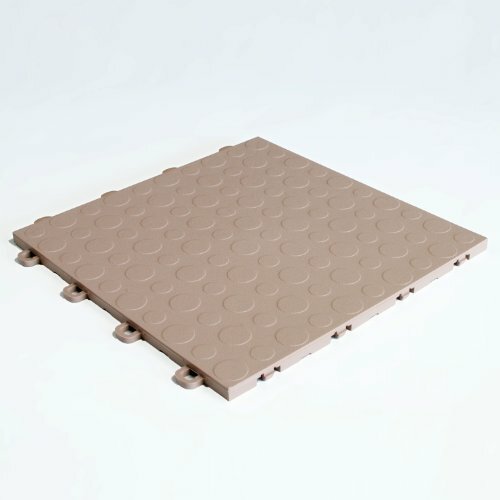 The rigidity and strength of the polymer from which the tiles are constructed allow for the tiles to be designed with a grid on the underside of the tiles. The grid design allows air and water flow to help prevent mold. 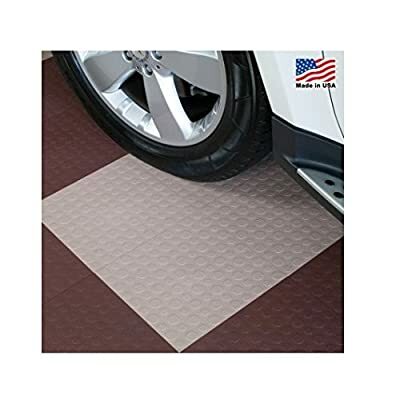 Other types of garage flooring available in the market, such as rubber flooring or flexible PVC flooring, lack the grid design feature due to material constraints. 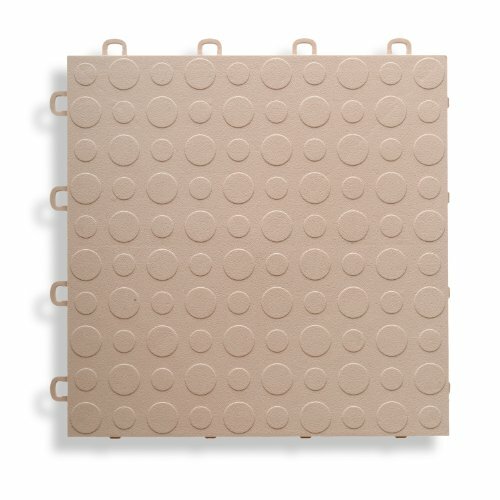 Installation of these tiles is very simple as no special tools are required. 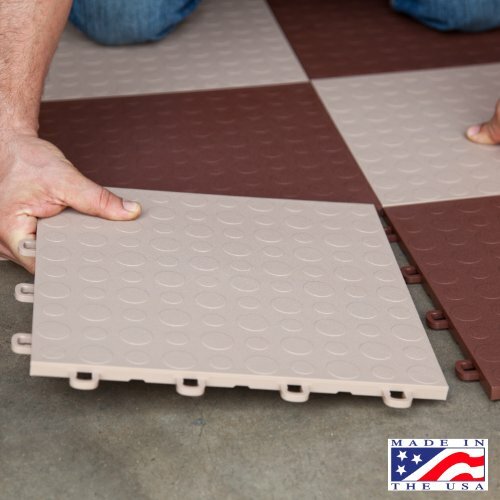 They interlock together with a loop-to-peg system to create a "floating floor.” So when installing the floor, it is important to leave a 1/2-Inch gap minimum around permanent objects. Due to differences resulting from various digital devices, please note that color represented on your monitor may differ slightly from the actual interlocking floor tiles. If you are uncertain of the color or construction of the tiles, please ask for a free swatch sample to be sent to you free of charge by contacting the Manufacturer's Customer Service Department at 1.877.595.2040.